A few weeks ago I travelled to Rome to check out the Longines Conquest V.H.P. GMT Flash Setting, a GMT not like any other. And in between the first-look video, horse racing and spectacular rooftop launches, we thought we’d do some sightseeing around Rome and put the V.H.P. GMT through its paces as a travel watch. 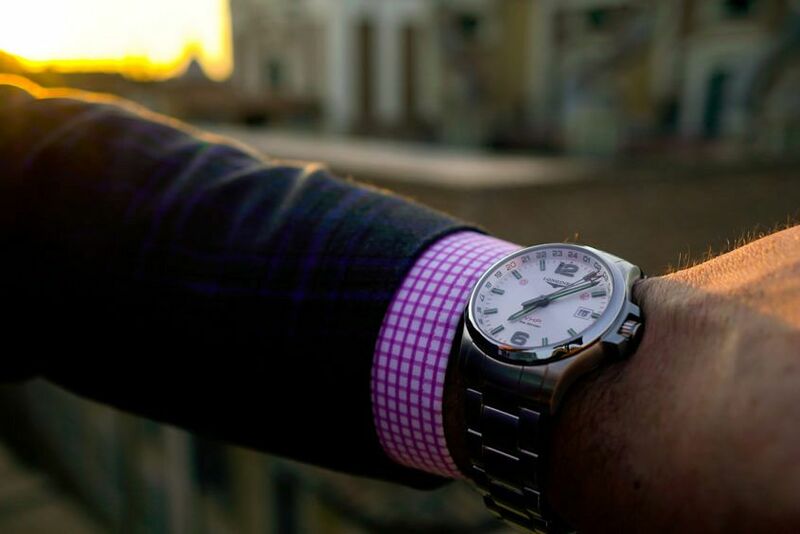 Now, of all the ‘genres’ of watches, the travel watch is one of the most subjective. There’s no handy ISO standard to hold it against, nor is there a clearly established design tradition. There’s only subjective taste. With that little caveat out of the way, I’d be quite comfortable putting my money where my mouth is and saying that this Longines Conquest V.H.P. GMT Flash Setting is a near-perfect travel watch for the 21st century. Why? Well, first of all, it looks good. 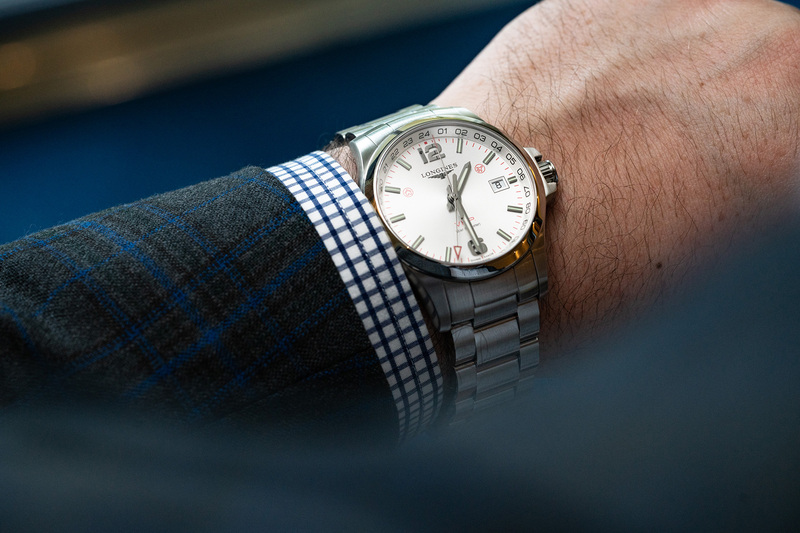 It’s stylistically versatile — important if you’re on the road with one watch and need it to cover a range of sartorial duties. It’s also not too flashy. I don’t know about you, but I don’t want to be traipsing strange corners of the globe, in unfamiliar places where I don’t speak the language, in a watch that might stand out in all the wrong ways. Perhaps I’m being paranoid, but I’ve heard too many horror stories. Perhaps more important than the looks is the functionality. I’m typically a mechanical kind of guy, but I think you can make a really strong argument for quartz on the road. It’s just foolproof. Plus, V.H.P. is no ordinary quartz, and is – just quietly – stupidly cool. And then there’s the GMT itself. As far as complications go, the GMT is an obvious choice for travellers, and thanks to the technological wizardry of the flash setting … which, to be honest, is better explained by the above video than words. Prices for Longines Conquest V.H.P. GMT Flash Setting start at $1750.